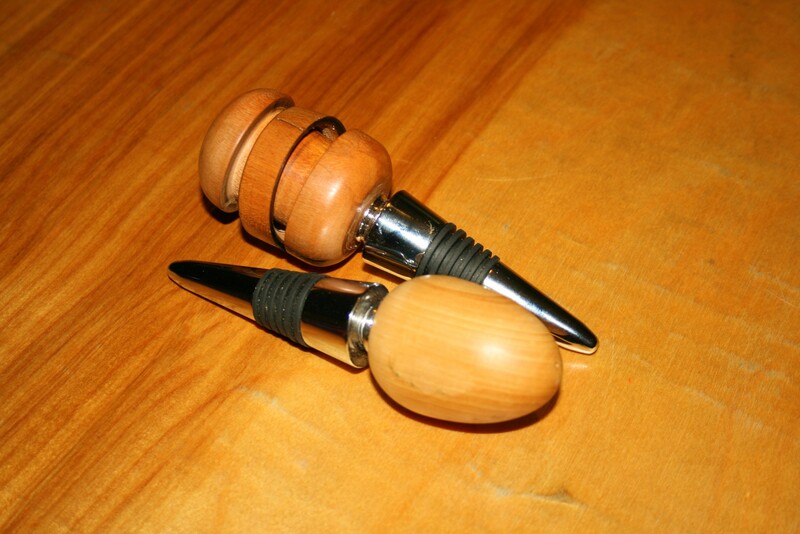 All pens are made to order, when you contact us please inform us as to what type of wood and metal you would like. 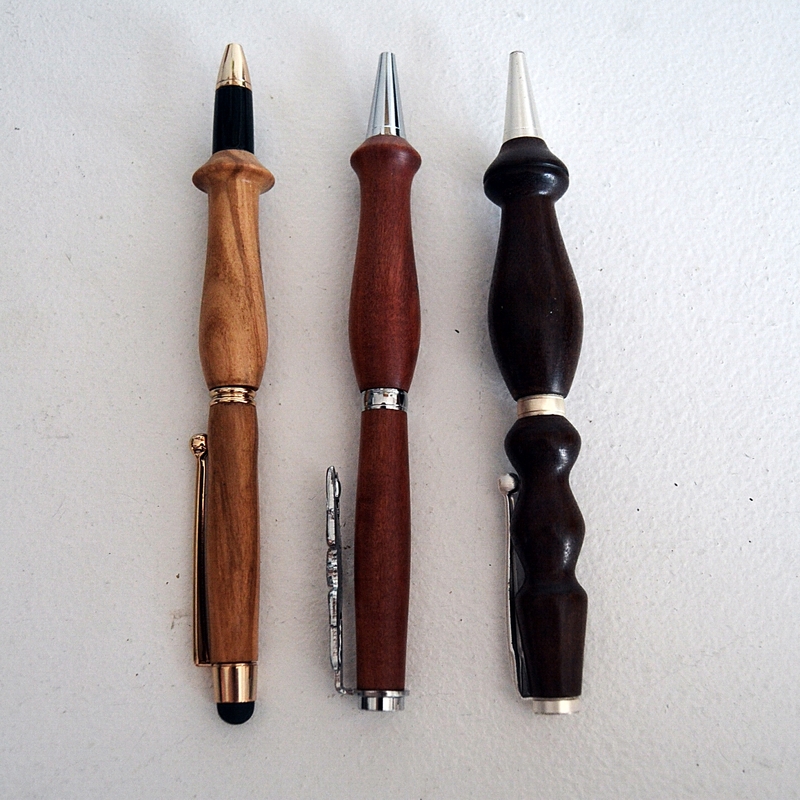 These pens are turned on the lathe by Christopher, a Journeyman in our shop. The money he earns helps to pay for his college books. The replaceable ink cartridge can be found at most office supply stores. All pens ship with a medium point black ink cartridge. A note about the woods used — Yes, many of the woods are from Africa or South America but the trees that supply the woods we have selected are constantly being replanted. 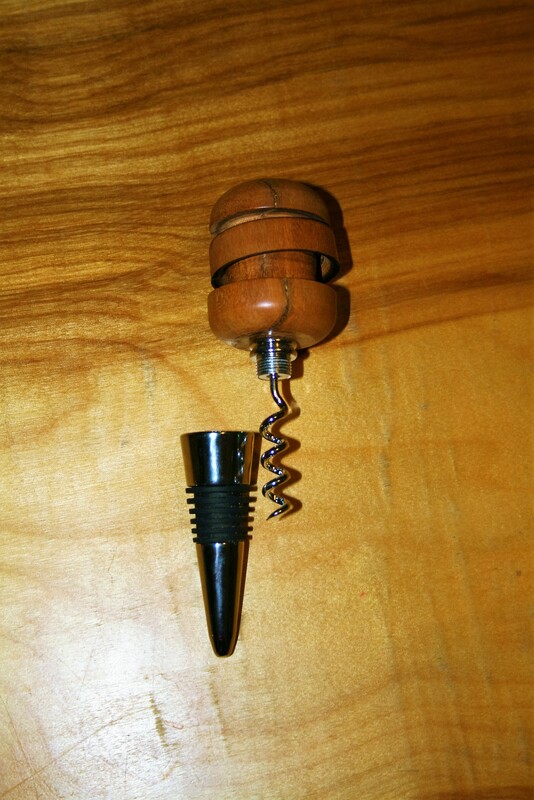 We offer a variety of wood pens with specialty clips. 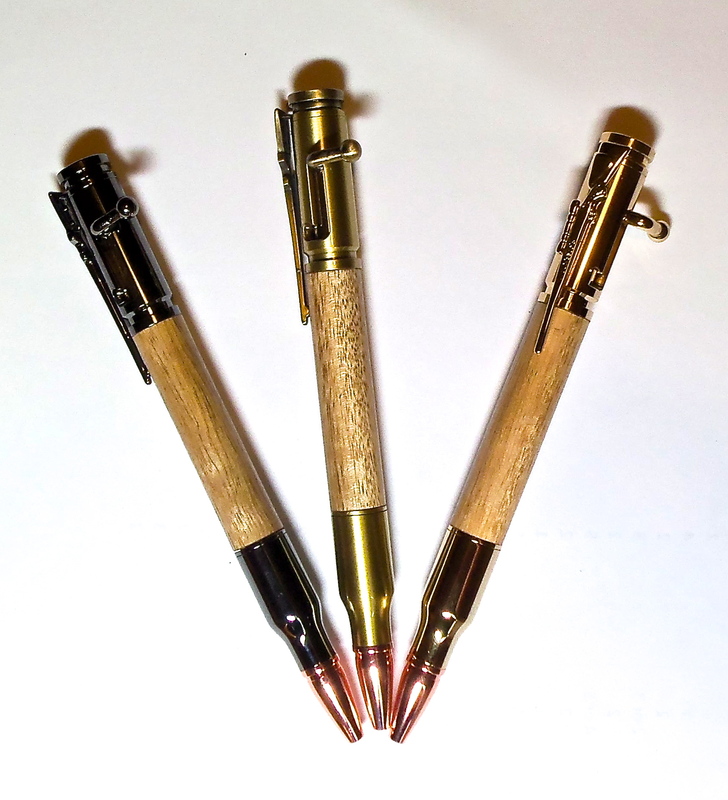 Three “slim-line” pens, the first is olive wood with a gold clip and includes a stylus for tablet, the middle one is a wood pen made of padauk with silver accents and a custom USAF fighter pilot wings, and the last is black walnut with satin silver accent. material for the body and then the color: Gun Metal, Antique Brass, or Gold Plate for the metal parts. Run the bolt action forward and down to “chamber” the ink cartridge for writing, release the bolt so it snaps back to the top of the pen to safety the round so you don’t get ink stains on your pocket. Civil War Commemorative Pens, both in Padauk, the top is G unmetal and the bottom Antique Brass. The clip is a replica of the Model 1861 Springfield Rifle Musket, the top is a replica 58 Caliber Minie’ Ball that was fired from the Springfield and the tip is a replica for the bullet used in the 44 Caliber 1860 Colt Arm Revolver. David – took a look at the site after you told me to on the phone just now. This stuff is awesome.